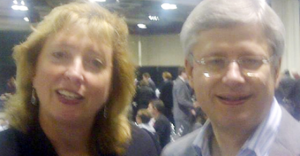 Editor’s note: Several updates on this story have been added to the bottom of this post. 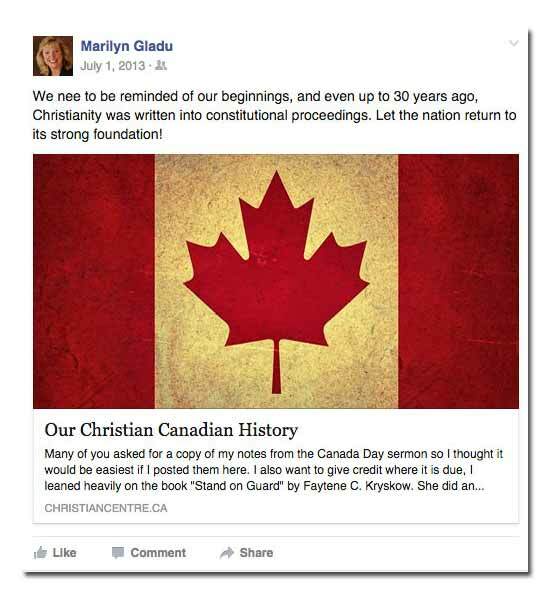 If the social media postings of Marilyn Gladu are anything to go by, the Conservatives’ pick for Sarnia-Lambton doesn’t seem thrilled about Canada keeping church and state separate. 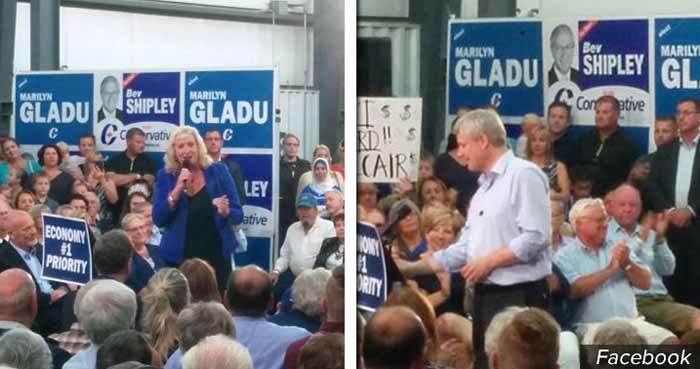 But apparently Gladu’s feelings on religious freedom do not extend to other religions in quite the same way. 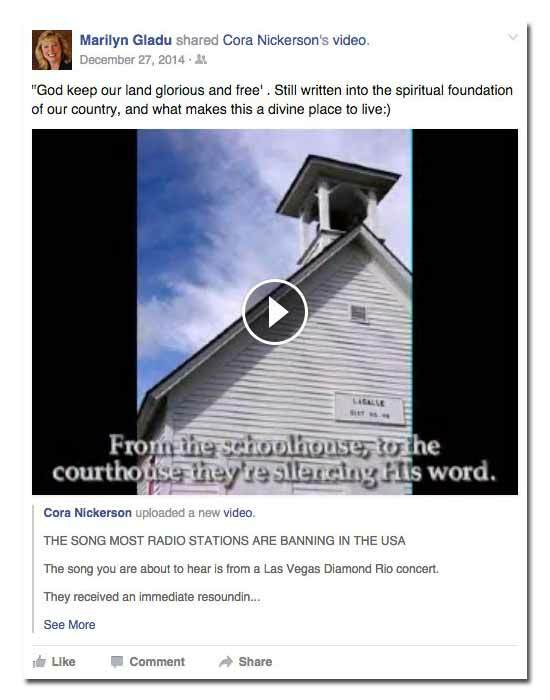 That Facebook post links to an article rambling about “the ever-present Muslim invasion” by “Mad World News” (whose mission is to “restore our constitutional republic to what the founding fathers envisioned”). 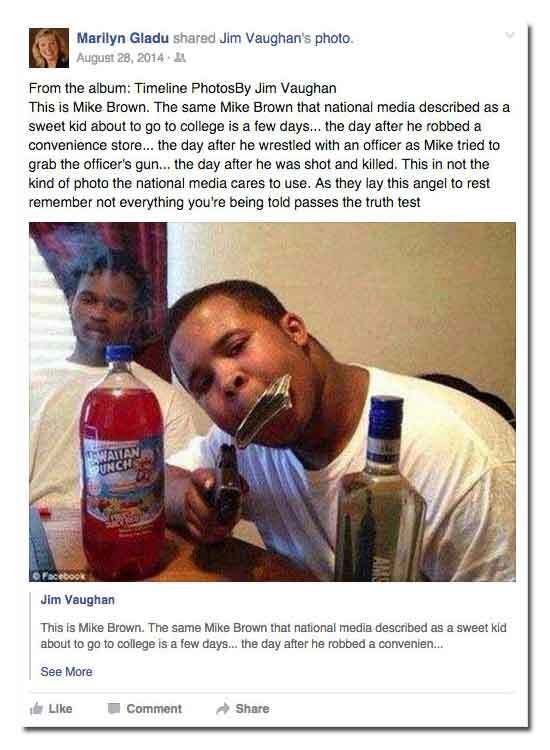 In 2014, Gladu accused “the national media” of suppressing “the truth” about Michael Brown, whose death sparked the Ferguson protests and was a key moment in the #BlackLivesMatter movement. 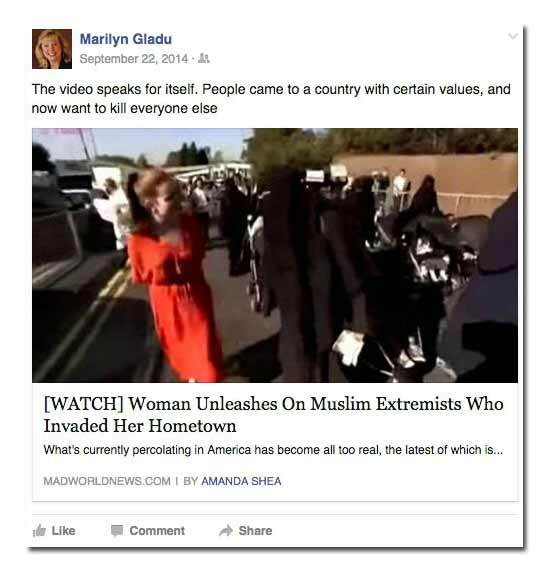 UPDATE 1: Shortly after publication of this story, Gladu changed the Twitter account associated with her campaign to “protected,” preventing voters from viewing her tweets. 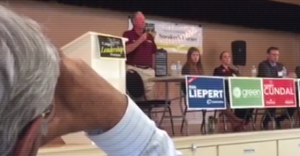 UPDATE 2: A little while later, Gladu entirely deactivated her campaign’s Twitter account. 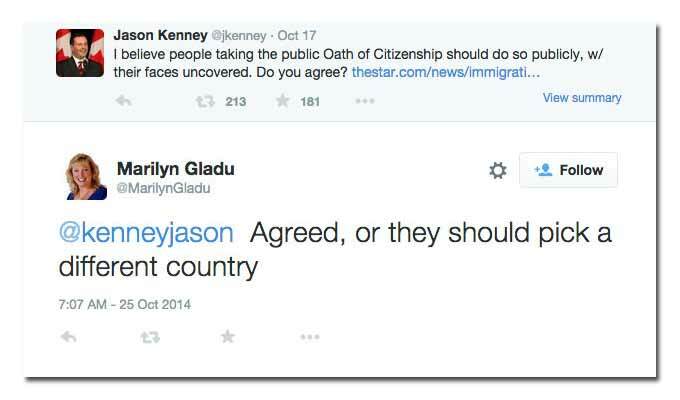 Gladu says she believes in freedom of religion but is waiting for the “final outcome” of the Conservative government’s legal challenge of wearing veils at citizenship ceremonies, which she points out is before the courts. Do Canadians enjoy too darn many freedoms and civil liberties?